It’s a concept whose time was long overdue…and it’s located in Shreveport, Louisiana, on the burgeoning southeast side of the city, in the new Alexandrine Shopping Center off East 70th Street, (just down from the Youree Drive corridor.) The Home Design Center is here and now, catering to the wishes and dreams of homeowners and future homeowners, who want to give their home a change in personality. “Home Make-Overs” are all the rage today. Whether it’s a fix-up project for your current home, or a full-design for your home under construction- The Home Design Center in Shreveport, has great news for you: no more long drives to Dallas to find “just-the-right-look” in furniture, flooring, cabinets, windows and treatments, bathtubs, countertops, appliances, rugs, accessories & other décor. They have it all. 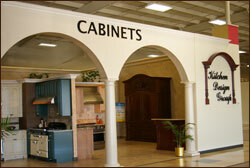 And if you need something extra-special, the Home Design Center merchants can probably order it for you. Think of them as your personal shoppers. Most importantly, for the customers, it’s quality time: one-on-one consulting, with the professionals from eight “premiere” local businesses, all under one roof. 50,000 square feet of showroom space, without walls, or dividers. Shreveport developer Rand Faulbaum believes that “open-air-concept” of The Home Design Center promotes efficiency, allowing homeowners to better visualize how their custom-look will actually feel. Faulbaum’s concept has now become a reality, thanks to his partners, tenants, and The Sealy Company. The first anniversary for The Home Design Center will be August 17th, 2008. Seems like just yesterday, when Faulbaum was meeting with interested business owners, pitching this truly ‘ultra-chic’ idea for homeowners, contractors, builders, re-modelers, and developers. The Home Design Center model is so simple, it’s amazing no one thought of it before now. 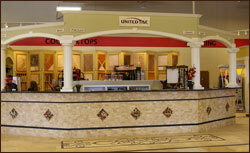 “Each area is individually owned,” said Sid Menard, president and co-owner of United Tile Company, Inc. of Shreveport. “This concept allows area merchants that are experts in their fields, to showcase the best and newest products in their fields.” United Tile is one of the eight local tenants in the center. It’s true what you’ve always heard, “…time is money.” What with the soaring cost of gasoline, the demands of parenting, both partners working, and a hectic social schedule…The Home Design Center becomes a “great stress reducer.” With this concept, consumers get the one thing money can’t buy: Time. The Home Design Center is truly a “super-center”, with eight “top-of-the-line” merchants, ready to transform your house, into “a spectacular home”. Locally owned and operated, these tenants can help a homeowner with every aspect of home-design, from the ground-up, to completion. Two large conference rooms insure a quiet and comfortable setting, for meetings with the different merchants and prospective homebuyers and re-modelers. Buyers are welcome to bring their builders and architects to the super- center, to help with completion and financing of their projects. The Kitchen Design Group...United Tile.. Allen Millwork...Murray’s Interiors ... Re-Bath, Bathroom Remodeling... Renaissance Stained Glass Studio; Sew Elegant Designs...and, IberiaBank Mortgage. Glenn Adams with The Kitchen Design Group specializes in Cabinets (Custom and Pre-Fabricated), Appliances, and Custom woodwork. Name brands dot their showroom, and customers can compose a “wish-list” of the newest, state of the art appliances and kitchen styles. 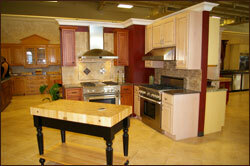 The options are endless, from French Country to Contemporary; you dream it and they can build it. Since 1948, United Tile has been serving Shreveport-Bossier & the Ark-La-Tex with top-quality Flooring, Countertops, and Natural Stone. 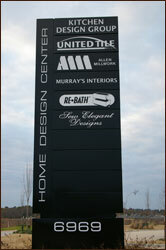 United Tile’s owner, Sid Menard, is one of the original partners in the Home Design Center. He decided to re-locate to this highly-visible location, because, Menard believes, in the “if you build it, they will come,” philosophy. Buzz Wheless with Allen Millwork, believes the Home Design Center goes “hand-in-glove” with his detailed custom-glass windows, doors and builders’ hardware lines. Whether intricate, ornate, or just plain simple, the Allen Millwork design experts can give you the look you want, at an affordable price. Scooter Murray owns Murray’s Interiors. 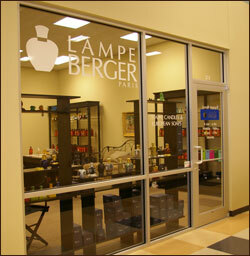 Scooter says “The Home Design Center is a perfect fit”, so he too, moved his extensive line of Lampe’ Berger products to this super-center. You can choose from lamps and scented-oils by Lampe’ Berger, to the quality Trapp Candles, which are in great demand today. Coming soon, Scooter will also be offering the most extensive line of area rugs and global furniture in the Ark-La-Tex. He will stock over 200 various styles of rugs in all sizes, runners, 4x6, round rugs and more; including the Paula Dean and Andy Warhol Collections. Re-Bath moved to The Home Design Center, because owner Ron Magnusson had been looking for a new showroom on the growing southeast side of Shreveport. 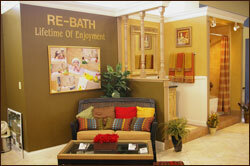 Re-Bath features Bathroom Remodeling, Tub-To-Shower Remodeling, and installing, the ever-growing “Safety-Tubs”. The Renaissance Stained Glass Studio is just what the name implies. Owner Karl Metzler specializes in custom-stained glass windows, inserts for cabinet doors, and ceilings, along with one-of-a-kind gift ware and home accessories. Metzler uses both stained and lead-glass for his “works of art” and creates it all on-site. 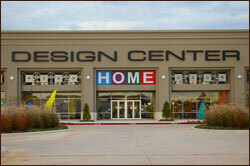 Sew Elegant Designs, owned by Robert and Dedra Reneau is one of the newer tenants at The Home Design Center. They serve as personal consultants for your custom window treatments and beddings, along with blinds, shutters, valances, and home accessories. 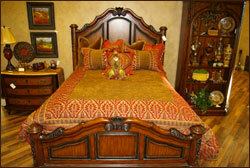 The Sew Elegant Designs experts can also assist in matching colors and coordinating your new or re-modeled home. 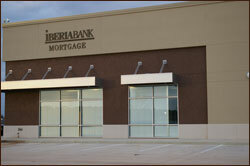 IberiaBank Mortgage is the mortgage company division of IberiaBank located in the Home Design Center. This represents a key move for clients, providing full-service financing for the homeowners while working with their realtors, contractors, and builders. Paul King is the branch manager at The Home Design Center and has a seasoned professional team of lenders offering financing with VHA, FHA, as well as conventional loans. Reversed mortgages and underwriting are also available. 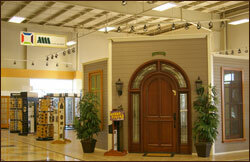 The Home Design Center is definitely worth a visit, especially if you’re into saving time. Open Monday-Friday 9-6, Saturdays 10-3, and closed on Sundays. It’s easily accessible from I-49, Youree Drive, or East 70th in Shreveport, Louisiana. For more information call Marci Smith, the Facility Manager, at 318-629-5300.